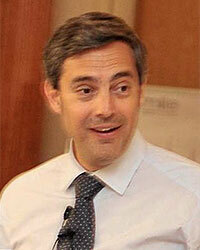 Philip Moscoso holds the Eurest Chair of Service Excelence at IESE Business School. At IESE, Prof. Moscoso teaches courses in both open enrolment programs as well as in-company programs for executives and master students. He is also a visiting professor at CEIBS in Shanghai and at ISEM Fashion Business School, and invited to teach a various other schools and education iniciatives.